It has been a little while since I have posted. Life is busy these days designing, teaching and taking care of my family. Nothing gives me more pleasure than showing off works by other creative people. 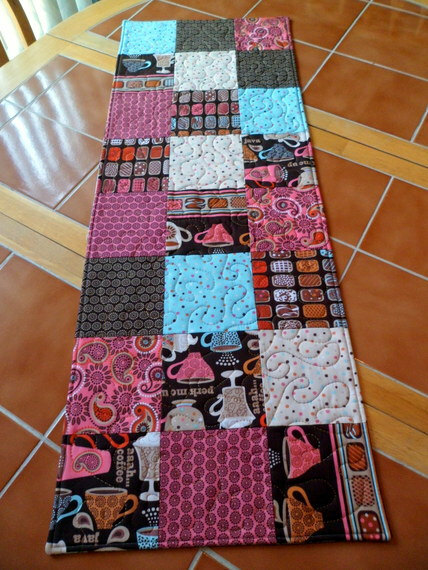 I am excited to show off this great table runner by the Quilting Diva. She mentioned to me that she finally bit the bullet and cut into the “Perk Me Up” fabric. I think she did a wonderful job displaying all the great choices in this collection. For help finding this fabric on-line or in local shops, search here.